Some advice: Vice Lipstick…. 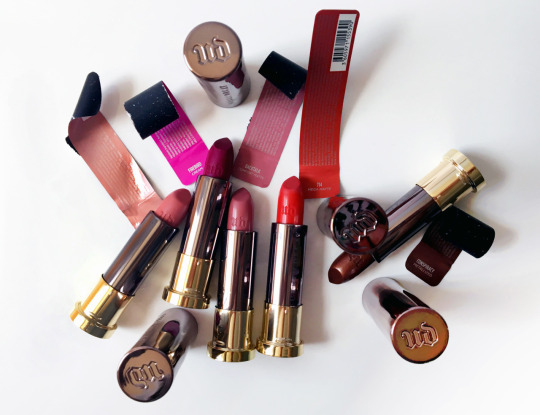 the new collection by Urban Decay. Our love of this brand is deep (like the pigments) and the creamy formula is full of nourishing ingredients, keeping your lips hydrated & soft. The color range is sick … from amazing neutrals to intense reds and purples, as well as foil finishes that will blow ya mind. I love that there seem to be a conscious thought to make a range that truly works on a spectrum of skintones.